PNP DOM - A guide on How to convert your existing PC into thin client? If your computer has 1GB RAM and a 1 GHz processor, you’re all set. 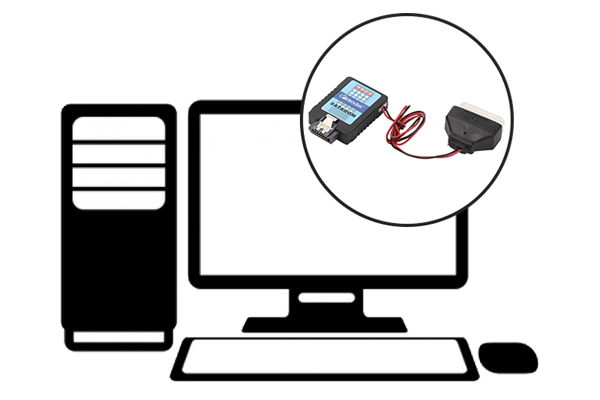 Enjay’s PNP DOM is a converter that gets plugged directly into the SATA port and turns your old PC into a fully-functional thin client. This thin client comes with Enjay’s reliable Tornado OS and works on various protocols like RDP, ICA, VNC, VDI, and more. Applications of your choice can be installed into the OS and work seamlessly. Plus, you enjoy a three-year warranty from Enjay IT Solutions. Embedded Tornado OS provides enhanced performance, reliability and security. Works on a CPU with 1 GHz processor speed and 1 GB RAM. Expandable RAM and hard disk space as per your choice. Three-year warranty directly from Enjay IT Solutions. Expert multi-channel technical support available. We guarantee integration of all your apps and printers in the Tornado Linux OS. If it cannot be done, our expert team will inform you in advance.